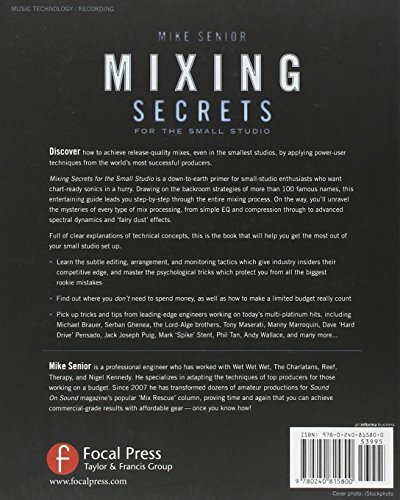 I picked up Mike's 2011 book, Mixing Secrets for the Small Studio. 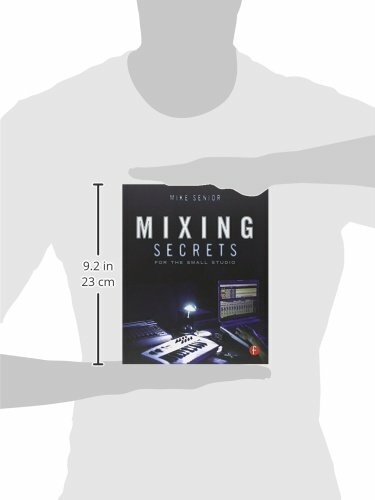 This 300+ page book aims to provide a comprehensive start-to- finish mixing how-to. That's ambitious, but for the right reader, the book succeeds with flying colors. Mike Senior is a professional engineer who has worked with Wet Wet Wet, The Charlatans, Reef, Therapy, and Nigel Kennedy. He specialises in adapting the techniques of top producers for those working on a budget.